PARIS (VNS) — Vietnamese and French enterprises can join hands in utilising business opportunities to be brought by the Viet Nam-European Union Free Trade Agreement (VEFTA), instead of competing for them, an official said. During a conference in Paris on Monday, Nguyen Canh Cuong, Trade Counsellor at the Vietnamese Embassy in France, suggested that domestic firms should learn French business culture while actively participating in large fairs and exhibitions in France such as those in garment, food and beverage, as well as in the support industry and agricultural machinery. These events would help firms establish new partnerships and devise suitable business strategies to catch up with opportunities that the VEFTA would offer, he said. French experts at the event agreed that both Viet Nam and France would benefit from the VEFTA thanks to cuts in the most taxes. 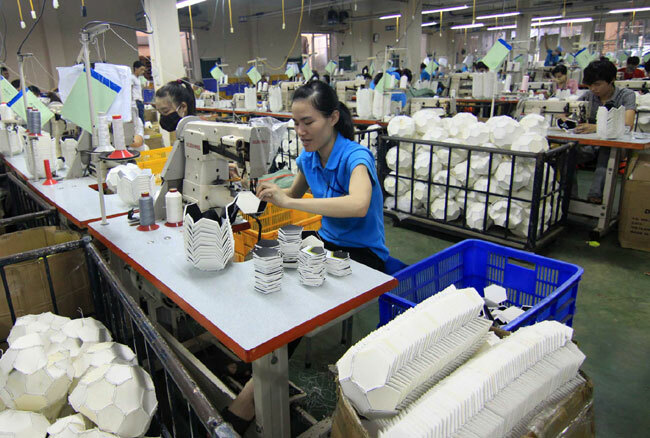 However, they noted that Vietnamese enterprises needed to invest more in improving quality of their products as a move to sharpening their competition. Nguyen Thi Sinh from the VCL- France Business Club, which has about 2,000 members from 42 countries, said that her club was willing to support Vietnamese firms in doing business in France and co-operate with the country's enterprises. Over the past years, the value of Viet Nam's exports to France registered an average annual growth of 5 to 7 per cent to 2 billion euros to 2.5 billion euros (US$2.26 to $2.825 billion) a year, while its imports from the European nation reached about one billion euros ($1.13 billion). Key products exported from Viet Nam included footwear, garments, and wood, in addition to handicrafts and seafood. Viet Nam's exports of cell phones shipped to France added a particularly big component to this figure.